Trace: » Driver, Edwin D.
Just 23 years old in the fall 1948, Edwin Douglas Driver was hired by the Sociology Department at the University of Massachusetts Amherst, becoming the first person of non-European descent to join the faculty and, along with Ruby Pernell of the University of Minnesota, one of the first two African Americans hired onto the faculty of a state flagship university in the twentieth century. Born in Gloucester, Virginia, on Jan. 23, 1925, and raised primarily in Philadelphia, Driver received his BA from Temple University (1945) and MA from the University of Pennsylvania (1947) and was progressing toward his doctorate at Penn when he met Frank Hankins, a visiting professor and Head of Sociology at Smith College. Although they sparred in class, Haskins encouraged Driver and arranged for him to interview for a position at Smith. Although that job ultimately failed to materialize, Driver was directed to an opening at UMass. Prior to his arrival, Driver noted, there had been “quite a bit of discussion” at the university regarding the impact of hiring an African American man on housing and social life. The fact that he was unmarried, he added, “was bothersome to people.” Although he had supporters, neither the university nor the town were universally welcoming, and his marriage one year later to an Indian graduate student at Smith College, Aloo Jhabvala, did not ease matters. During his first year at UMass, he rented an apartment in Amherst from a Professor of Agronomy, but after his marriage, he was unable to find housing in Amherst, finding a place in Northampton only after the landlady mistook him for being Polish. Much of his social life, he remarked, was provided after he was “adopted” by a fraternity, Alpha Epsilon Pi. One of only three sociologists at UMass at the time, Driver helped build the department, teaching 12 credits per term and filling a heavy schedule of service. Despite this load, he progressed in his scholarship, earning tenure and promotion to Assistant Professor in 1954 and completing his doctorate at Penn in 1956 for Administrative Control of Deviant Conduct of Physicians in New York and Massachusetts. His early research included work in the sociology of mental health and criminology, but grew to include demography, urbanization, and comparative sociology. By the mid-1950s, he developed a research program in South Asia, particularly central and south India. Fulbright awards (a total of three) placed him as a visiting lecturer at Nagpur University in 1957-1958 and at Madras University in 1965-1966, and he was a recipient of a Danforth Fellowship as well. He held visiting appointments at several institutions, including Smith College, the University of Wisconsin Madison, the University of Minnesota, Brandeis, UCLA, Hawaii, and the University of Vermont. Among Driver's noteworthy publications were Differential fertility in Central India (1963), The sociology and anthropology of mental illness: a reference guide (1965), W. E. B. Du Bois on sociology and the Black community (edited with his colleague Dan S. Green, 1978), and Social class in urban India: essays on cognitions and structures (edited with wife Aloo E. Driver, 1987). He served as United Nations Senior Advisor to the Iranian government (1977) and as consultant to the Ford Foundation (1968-1975), the Rockefeller Foundation, the OECD (Paris), and the Massachusetts Department of Mental Health. Driver remained at UMass Amherst for his entire career, earning emeritus status upon his retirement in 1987. A pioneer, he witnessed only glacial progress in the percentage of African Americans on campus. 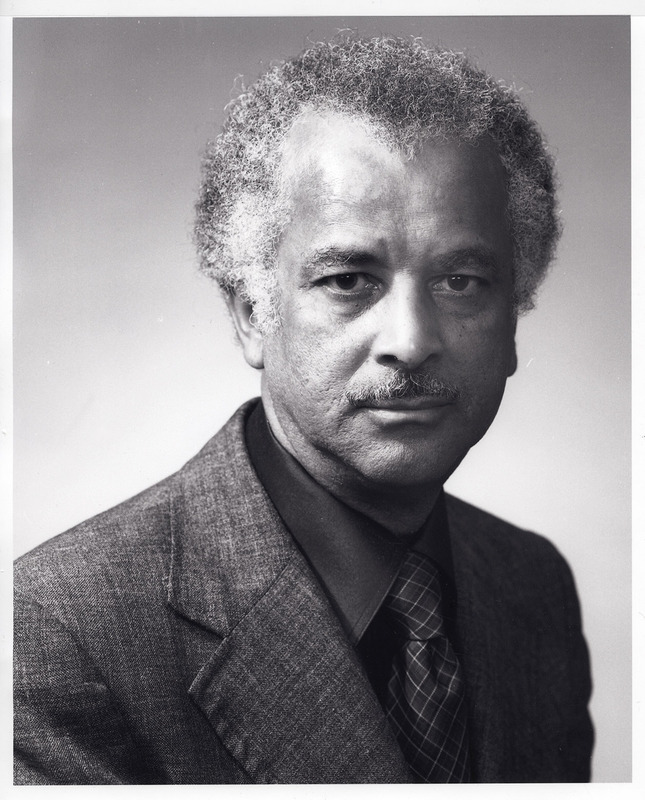 The hiring of geologist and future chancellor Randolph Bromery in 1967, nearly twenty years after Driver's arrival, represented only the sixth African American faculty member, but even more remarkable was that were only 36 African American students at the time in a population of nearly 17,000. When the assassination of Martin Luther King propelled the university to respond to the lack of representation, Driver became one of the founders of the Committee for the Collegiate Education of Black Students (CCEBS). Driver's wife, Aloo Jhabvala (1927-2014) was a native of Mumbai, India, and the child of an academic family. A sociologist like her husband, she received her doctorate from Columbia and began her career at the University of Massachusetts Amherst. She is noted for having introduced the first Asian language course to the university, Hindi, in 1962, but left UMass for American International College in 1969. The Drivers had three children, each of whom followed in academic distinction. 1. JBHE Chronology of Major Landmarks in the Progress of African Americans in Higher Education, Journal of Blacks in Higher Education. Accessed June 5, 2016. 2. Collegian profile no. 31, Massachusetts Daily Collegian 1949 Dec. 8. 3. “Edwin Driver notes increase in minority presence on campus,” Daily Hampshire Gazette 1998 Nov. 6. 4. “Edwin Driver's life and times as the University's first Black professor,” Campus Chronicle, 1989 Mar. 10.